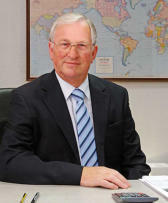 Midland Metrology Ltd was formed by Bob Coles in 1989. Initially operating from an office at home, the company now boasts a 4000 sq. ft. industrial unit in Coventry. We have a Showroom, Temperature Controlled Calibration Laboratory and a storage facility housing a comprehensive range of new and used Metrology, Inspection, Test and Calibration Equipment and Gauges. Bob had previously served a Technical apprentiship with Rolls Royce Aero Engines, and then later as a Technical Sales engineer with C,E. Johannson, the Swedish Metrology company and inventor of “ Slip Gauges” Joey Blocks, for those old enough to remember! 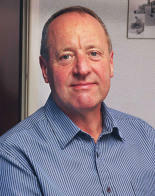 In 1990 Rob Heath joined the company to build the calibration side of the business. Rob also had a Technical apprentiship with GKN . It was shortly after this time the two met whilst Rob was head of Calibration at GKN. Rob continued his career in Quality management with Metro Camel, Park Rubber and QCMS a calibration company. Together they can boast nearly 100 years of engineering experience.